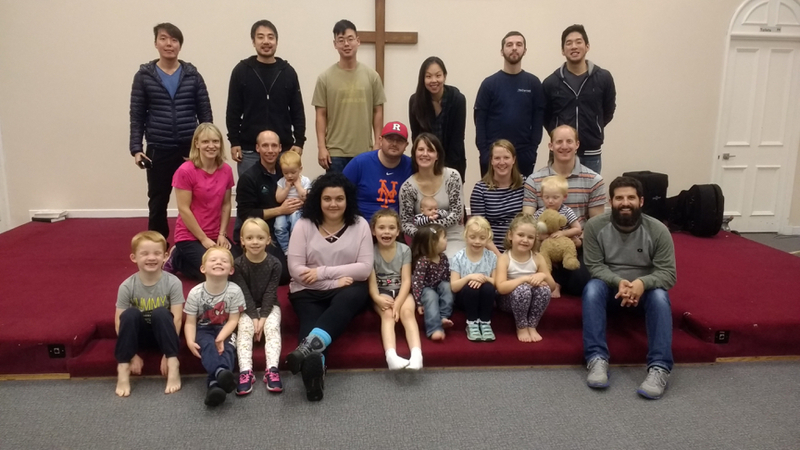 A little over a month ago, a group of six members from MGC had the great privilege of serving side-by-side with a sister church in Dundee, Scotland. Lochee Bible Chapel is a new church plant that is ministering in the heart of the Lochee housing scheme in Dundee. The pastors and ministry leaders of LBC are a crew of folks that love the Lord and love their neighbors well. What a delight it was for us to share in the work that God is doing alongside these faithful, dear saints. Below are some reflections of the team members. Each of them--whether this was their first missions trip or they are short-term missions trip veterans--served faithfully, joyfully, and diligently. One of the great highlights of the trip for me was to see these brothers and sister jump right in, pour themselves out, and “get at it” for the sake of the gospel! Enjoy their reflections! The Scotland trip was a blessing. It was encouraging to spend time with saints of Lochee Baptist Church and hear their testimonies. I was struck by how strong their convictions were, and their hearts to see God's Word proclaimed and thus extend themselves to difficult situations. I am thankful for MGC for allowing this opportunity to go out to Scotland for short-term missions trip partnering with 20Schemes. 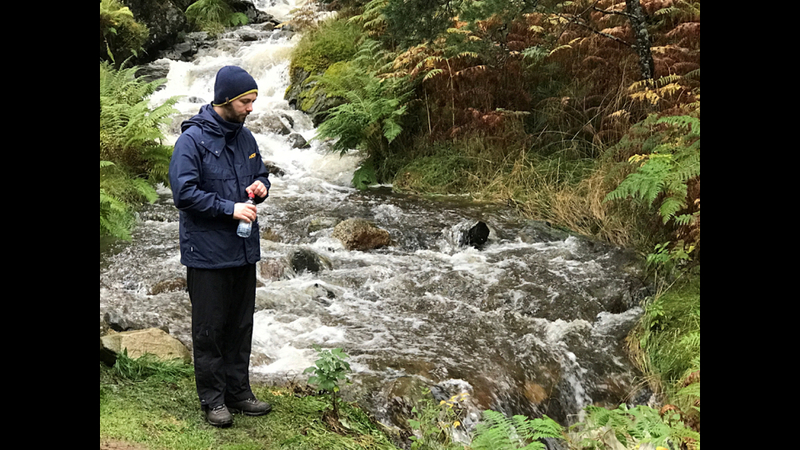 Aside from experiencing little discomforts of being away from home in NY, it was a time to labor for God's glory and witness the genuine gospel work that was being done in the land of Scotland. It was a great privilege for the team to help with painting different sections of the church interior such as the fellowship hall and the corridor. It was meaningful work, because we helped paint the areas and facilities that are used by the church on regular basis and where fellowship takes place. I think the highlight of the trip for me was engaging with the people and learning about the 20 schemes ministry. I was very humbled by listening to people like Pastor Andi, Pastor David and Graham. Listening to their stories and their testimonies, they had a deep-rooted passion to serve the Lord and a broken heart for the lost in Lochee. The land of Scotland once used to be called the Land of the Book, but now much of the gospel centered-ness has been lost by many of the churches. It was very encouraging to see the work that they were doing: planting gospel centered-churches and engaging and impacting people that are on the fringes of the society. On our last full day in Lochee, I attended the Ladies Fraternity Meeting. The ladies of 20 Schemes--pastors’ wives, women's’ workers and interns--meet once a month for fellowship and bible study. 20 Schemes encourages their church planters to make sure they are employing a mature woman as they embark on their church planting and/or revitalization venture. The group is led by Miriam McConnell, 20 Schemes Events Coordinator and Women’s Worker. She is also Mez McConnell’s (the founder and Ministry Director of 20 Schemes) wife. There are a total of 29 women that meet on a regular basis, and this month it was 30 because I was there. Each church rotates to host the meetings. Miriam trains the group then there is a group discussion on the topic that was taught. There is a prayer session which is followed by lunch. Each month, one of the ladies also get to lead a mini devotional as the last agenda item for that month’s meeting. This month’s teachings and discussions were about discipleship and accountability. These ladies are all paired up with one or more women within their respective churches to disciple and mentor and they are encouraged to meet at least once a week. To us it seems almost impossible to meet with someone that regularly. Once a week indefinitely and outside of Sundays when you would see them at church anyway. I was amazed (shocked even) and encouraged that these ladies would be so involved in the lives of other sisters so intentionally. In the busyness of life there are weeks where we don’t get to speak to friends and family, let alone meet with them in person. During the meeting Miriam also led a role-playing session to show us how we could go about these meetings naturally (so it doesn’t sound like an interrogation or check-list of accountability questions). Every week senior citizens meet at Lochee Baptist Chapel for coffee/tea/biscuits and fellowship. We had the privilege of serving them coffee and tea. I sat at a table with a group of ladies sharing photos of their 90th birthday party, great grandchildren, and recent trips so I shared some of my wedding photos. Afterwards we did some light exercises—light as in bouncing and squeezing stress balls. Although our trip was relatively short, it was a memorable experience. Not only were we able to provide tangible help in painting and moving furniture around for all the different events at Lochee Baptist Chapel, but it felt as though we were able to truly be a part of the gospel-centered ministry there. Perhaps the most moving part of the trip for me was to witness the faithful service of the members of the church. It was amazing to see how God is working in the hearts of the elders as their families willingly commit themselves to glorify the Lord with the resources they are given. It was inspiring to see how intentional they are in using their time and facilities to bring the gospel of Christ to all the different people groups in the community. It was a deep encouragement for us to be able to be a part of what God is doing in the local church at Dundee, Scotland. I am excited to see how God will continue to work in the area in the years to come. The greatest mercy ministry that ever existed was that of Jesus, coming to die on the cross for our sins. Whether viewed through an eternal or temporal lens, it's impossible to argue otherwise. Yet, is that how mercy ministry is viewed in the context of a local church? I was challenged by this idea during our trip to Lochee. What does a mercy ministry that's reflective of Jesus' mercy ministry look like? We joined Lochee Baptist Church in their various ministries to reach unbelievers in different life stages. From small children to teens to young adults to seniors, we served with the singular goal of giving the attendees the gospel. There was Bible story time for the kids, different hangout times for the teens and young adults, and tea with the seniors. The physical needs of each group of people were all very different, but they all shared one spiritual need. The same need us believers need--Jesus Christ. That is not to say that physical needs are to be ignored. Many of the visitors have serious addiction problems and need real help. We met one gentleman who had started coming to the young adult hangouts, and started to learn more and more about Jesus. He was an alcoholic and needed to get clean. Through the encouragement of the staff he agreed to go to rehab at a Christian program called Teen Challenge to get clean, but also to learn more about Jesus. What about things like hunger, or homelessness? What I learned is that the context in which you are serving matters. In the case of the UK, there are already many social programs in place that takes care of the basic needs like food and shelter. Being armed with the knowledge of how to help people is more important than merely handing out sandwiches (though handing out sandwiches may be exactly what's needed in certain contexts). It's just that in the UK, there's no reason to devote so much time and energy into building a program to feed the hungry, because it already exists. What we observed in Lochee was a church that knew its context well. They knew the locals, they knew the help that's available out there, and they knew how to best leverage their time because of it. In the end, their mercy ministry was simply their church plant, reaching out to neighbors and friends. If someone needed physical help, they would help them the best way they knew how. How does this affect us? I think first and foremost, we should think about our evangelism as a mercy ministry. God's greatest mercy to us was Jesus Christ, and our actions should reflect that. Second, think about how to truly help people in our area if any physical needs arise. We are the hands and feet of the Church and stewards of God's resources. Images from the Scotland team's trip in September.